Carbon Conductive Ink is used to print contact areas on Contact Pad areas on e.g. Remote Control PCBs or on Mobile Phone PCBs (replacement of ENiG Surface Finish), to print switch contacts, shield areas, heating elements or as conductor in the cross over Technology (Crossing Tracks on single side PCBs). 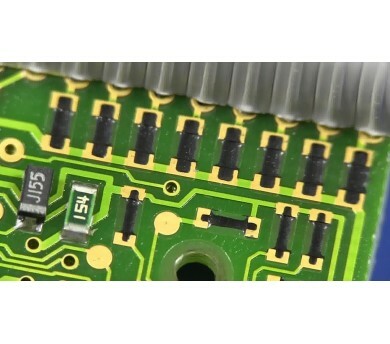 At Jaapson PCB, we always use Atotech material: SD 2843.